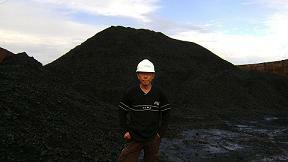 In the future, coal production is expected to increase and price. For Services or Join Operation, Are Welcome. Towards several location, I 've survey of coal in Kalimantan, Sulawesi, Sumatra and Java, go to a village on one side in the interior of East or South Kalimantan several area, enter the aquatic mammal area. Capturing coal surveying the other of the wealth and natural beauty of the archipelago, Indonesia. 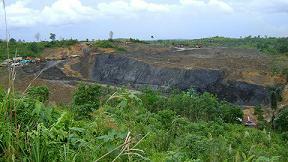 In the future, Indonesia coal production is expected is to increase, not only meet domestic demand, but also to satisfy foreign demand exports This is because Indonesia's coal resources are still abundant, on the other hand, fuel prices remain high, industry demand for this fuel oil to switch to using coal. The existence of a new power plant development plans in and outside java with a total capacity 10,000 mw, increasing the production of cement each year, and growing development of other industries such as paper industry (pulp) and textile industry is an indication of domestic demand will increase. 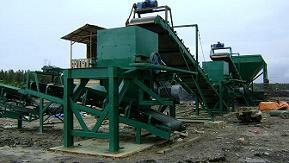 New Crusher 500 tons/hr. Beginning Loading to the Barge. 2011/Site Maintenance and Designed by RiduanGoh.com. Simple theme. Powered by Blogger.